Are you new to the idea of Manifesting? Does it all seem a little too overwhelming and complicated? I remember being there, reading about it all over the internet, trying to piece together information that made sense. It’s kind of ironic because manifesting is probably the simplest thing you can do, besides maybe, breathing. It’s like teaching someone how to grow out their hair, or laugh at something funny. It’s just automatic, you do it without thinking about it. The thing about manifesting is that you’re already doing it. You’ve done it your whole life, and whether or not you “master it” you will continue to manifest for the rest of your life. So, break down that barrier that you have that manifesting is hard because, manifesting is easy, it’s natural. You’re already amazing at it. You just need to learn how you’re doing it so that you can manifest things consciously instead of being unaware of what you’re doing. That’s where these three super simple, yet highly important manifesting rules come in. They’re just going to bring to your attention what you’ve been doing your whole life. And once you realize this, it’s going to be incredibly simple to manifest anything you want. Like I said, manifesting is simple. 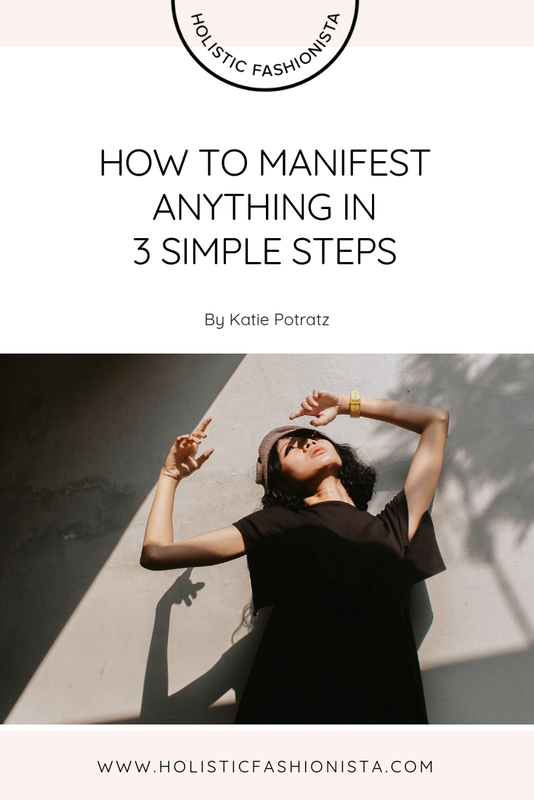 But if you’re still feeling overwhelmed by the idea that you can alter your reality and attract things into your life, let me break it down into the simplest terms: Manifesting is just directing your intention (a.k.a. your focus) to what you want, communicating that to the Universe, and allowing it to flow to you in the most natural way. It’s really nothing more than that. All you really need to know is how to align yourself with what you want. That means acting “as if”, and there are three simple steps involved. Each of the three steps is just as important as the rest, but I think this is the one that holds most people up. You need to align your thoughts with what you want to attract into your life. What does that mean? Well, it basically means you have to believe that it’s coming, and I mean really believe it’s coming. You can’t trick the Universe. Your thoughts are like a super highway to Source, whatever you send out on that highway, the Universe hears loud and clear. And doubt is just as loud as faith. You need to have full faith that what you desire is already out there (because it is) and that you are able to attract it (which you are) and that the Universe will deliver it to you how and when it deems fit (because it will). I know what you’re thinking, easier said than done. And that’s just the kind of thought that will tell the Universe “I don’t think I can” and your manifestation becomes dead in the water. It can be hard to just chill and trust that your manifestation is on it’s way, but seriously, you gotta. Repeating mantras each day or creating an inspiring vision board can help you to make your manifestation real in your mind. Step two is all about aligning your spoken word with what you want to attract. So, what does that mean exactly? It means when you speak, speak as if it this manifestation is already here. Speak as if it’s a done deal. This is the second way you can communicate with the Universe, through your words. This step is pretty simple, just talk as if what you want is coming, (or is already here) and believe it when you say it. For example, you want that car. Instead of saying “Yeah, I’d sure like to drive a Porsche one day, that would be cool”, say “Yeah, my next car will be a Porsche Cayenne in pearl white with a tan interior.” And believe yourself when you say it. If you’ve followed step one, then step two should be a breeze. All you doing is telling the truth. And I’m not saying that you should go around telling everybody what you’re manifesting, but I’m saying if it comes up, act as if it’s a done deal. Don’t act as if you want it, are wising for it, or are desperate for it. Act as if it’s already done. Another highly important step often overlooked is aligning your actions to what you desire. In manifesting you need to let go of the “how” and the “when” and focus on the “what”. But just because you are releasing the how for the universe to decide, doesn’t mean you get to just sit back and do nothing. You need to take inspired action. This means you need to think about what you could do to get closer to this goal, then do whatever feels right. It’s called inspired action because it really feels like what you should be doing. It should feel natural. Maybe you already have that feeling about what you should be doing, but for some reason you’re not doing it. So do it. It really is that simple. Some people decide what they want, but take action that leads them in the wrong direction. It’s like deciding to grow out your hair, then booking a haircut. Make sure your actions are actually aligned with what you want. Don’t obsess over how or when your manifestation will show up in your life, just have faith that the Universe has heard you loud and clear, and that whatever it is that you want is already on its way to you. Take action when you feel inspired and watch as your desires start to show up. Relax your doubt muscles and start planning how you’re going to celebrate!